In some respects, this is going to be short article at this point in time. We use to have a few short term health carriers to choose from in California. Most of the major carriers pulled their short term health plans when the ACA law passed in 2014. Add to that a recent change in the maximum length of time a person is allowed to have short term (3 months). A few carriers are currently in the process of refiling with the State to meet this new 364 day max requirement. The State always takes long to process these requests. So, who do we have for our Short term health insurance coverage needs and review? IHC which partners with Anthem Blue Cross. Until we get more carriers back, let's review this short term health option. 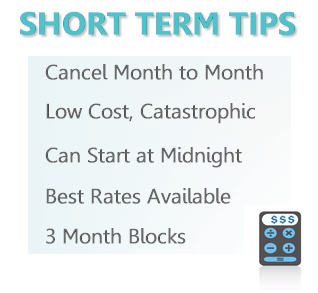 Short term is very very popular right now so we're lucky we have at least one legitimate option. We'll explain after the review why short term is so needed right now but let's jump into the current review. IHC is a small health care insurance carrier. They've exploded since 2016 due to their short term health plan remaining on the market. Originally, they partnered with Anthem Blue Cross of California to launch the plan which is good news. Anthem is one of the top 3 California carriers in terms of marketshare. They know the market (which is not an easy task) and they add an air of legitimacy to IHC. Most importantly, IHC uses the MultiPlan network with over 900,000 providers nationwide. Let's review our lone legitimate carrier. 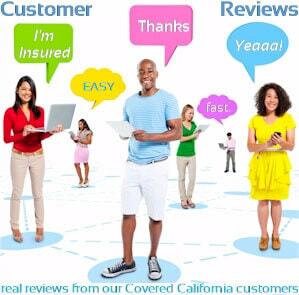 We have helped 1000's of Californians compare, purchase, and use IHC for short term. This is tricky since we only have 1 carrier but let's compare IHC versus the other carriers that will hopefully come back. IHC was priced right in the middle of short term plans for comparable benefits. We had HCC which was the low price leader. They pulled out of market in 2016. They also didn't have the stronger provider network so that's a major detractor. United was priced comparably or slightly higher than IHC for their UnitedOne short term plan. We can't do a head to head against Shield or Cross since they didn't offer short term at the same time. We can compare short term versus ACA compliant plans! On average, Short term plans will be about 20% less expensive than the Bronze level plan through Covered Ca if we do NOT have a tax credit. That pricing will probably be better. The ACA plan is also richer in benefits and can continue as long as you pay the premium. We're happy to help you compare Covered California plan options and eligibility versus Short term. 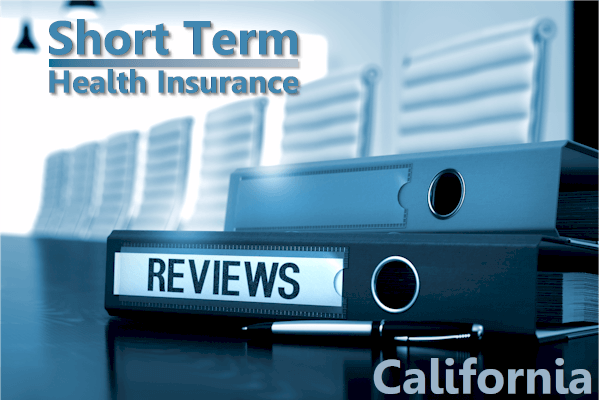 The Covered Ca versus Short term gets a little complicated so it's probably best to go over your particular situation with us. There's no cost for our services since we're certified Covered California agents. 100% free to you for ACA plans or Short term! In the one carrier we do have for short term now, it's a great network! IHC is a smaller health carrier but they partnered with the best for the doctor network. Anthem Blue Cross originally partnered with IHC to bring this health plan to market but it ultimately uses MultiPlan network with over 900K providers!. This is a nationwide networks as it allows coverage throughout the U.S. It's a broader network than the current individual/family (including Covered California) networks. We're in good hands with this network. What about Ease of Use. Membership! This is probably the lowest score for our review with IHC. They're just a little bit old school which is to be expected for a smaller carrier. The good news is that the enrollment process is all online, instant and easy. The underwriting is also simplified issue. This means that the decision is based on our answers on the application. That takes one more interaction out of the equation with the carrier. Beyond that, it's a little more difficult. Good news is that as your agent, we can help on this side. Cancelling policies, requesting ID cards, payment and refund issues. We can do all of that on this side and there's no cost for our services. 100% free to you. Smaller carriers tend to be a little slower and more rigid in the day to day dealings. We can help smooth that over for you. Finally, paying health care bills when they arise. This falls in line with the membership side of things. Ultimately, we're getting a short term health plan to cover the big ticket items. Castastrophic coverage for a gap period of time. That's what it is geared for and that's where it works well. We have had no issues with claims for such a health care need in 1000's of policies. The only issue might arise where there's a question of whether a situation was pre-existing or not adequately listed on the application. It's very important to answer the questions fully and honestly on the application. It's simplified issue but that only works if we answer honestly on the app. You don't want them to underwrite when the claim comes in! There can also be some misunderstanding in what the policies cover. They're really not designed for preventative, rx (outside of facility setting), and day to day health care. That's where short term gap plans work well. That's a wrap on our short term health insurance review. Let's look at some important basics of the short term plans so that we make an informed decision. Let's look at some basics with Short term health plans since they don't operate under the same rules as ACA (Covered California) plans. Short term is really designed to cover the big bills. Catastrophic coverage for a short period of time. IHC (partnered with Anthem Blue Cross) is now the main short term carrier in California as the other carriers have to refile to meet 3 month changes. 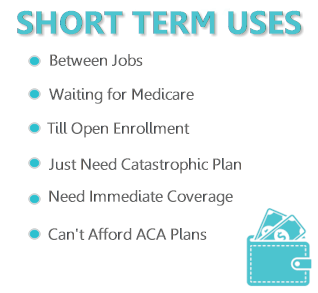 The most common misunderstandings deal with what short term plans cover. Your day to day and preventative benefits are not what short term plans were designed to cover. Let's wrap up our review. So...we have one carrier now for short term. 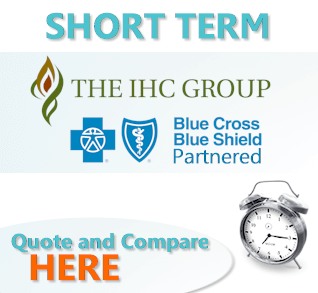 IHC partners with Blue Cross Blue Shield and offers the large MultiPlan network. They generally price under ACA plans (with no tax credit) can be purchased in 3 month blocks (month to month coverage). We have a monster Guide to short term health insurance here. You can also check our 2018 Short term health plan review here. As we get more carriers and short term plans, we'll add them to the review. You can run your Short term health plan Quote to view rates, plans, and even enroll online instantly!